The growing competition in Australia from the new lineup of 2019 Toyota HiLux is making General Motors react. In this part of the world, we are not going to see the Chevrolet badge. Instead, Australian department is going to respond with the new 2019 Holden Colorado. The pickup truck, or Ute, as it is called here, is versatile and one of the leaders on the market. But, innovations and improvements are everyday need since other companies are delivering their units. VW Amarok and Nissan Navara are other rivals besides HiLux. 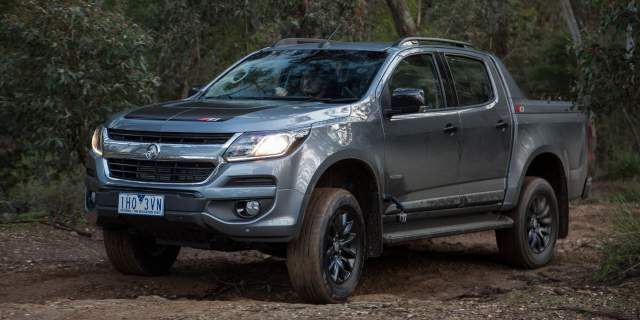 For the 2019 Holden Colorado designers are preparing a few interesting new features. However, the new generation of this pickup truck is not coming any time soon. If the information is correct, during 2022 its US sibling will get a big update. Soon after that, Holden will copy the design and accessories from Chevrolet. The Ute is not among the best vehicles in its class by chance. Well, Colorado is one of the most popular mid-size trucks in the world. However, not everything is perfect in this pickup. For example, bed liner is not standard on the current model. For the 2019 Holden Colorado, this could be changed. Also, steering will get a better response, as well as the braking system. On the other hand, the reliable and powerful drivetrain is definitely the highlight. It is a diesel unit with 500 Nm of torque. Also, interior and features of the cabin are excellent right from the base unit. Buyers have a lot of options in front of them. Three cab configurations are a good start for various trim levels and packages. For the 2019 Holden Colorado, there are no changes under the bonnet. The same 2.8-liter Duramax is there with the same amount of power. Turbo-diesel of the latest generation eliminates all lacks of its predecessors. It is capable to produce 150 kW. Emissions are reduced, although the maximum torque is 500 Nm. With such output, the 2019 Colorado will be among the best trucks in its class. The engine uses a new six-speed automatic transmission as the power router. Manual box is optional since drivers will love fuel saving in sixth gear. Cosmetic changes for the 2019 Holden Colorado will refresh the look of the truck. It is in the second generation, and in a couple of years, we will see a big redesign. Until then, minor changes and possible facelift will be enough for buyers which want to refresh their parking lot. The most exciting model is the Z71. It brings various unique features. For example, there are 18-inch alloy wheels. Black grille and side rails on this version of the truck are eye-catching. Inside we will find more details that could be purchased only with 2019 Holden Colorado Z71. With so many options it is hard to present all possible versions of the 2019 Holden Colorado. The entry-level or the cheapest model will be single cab pickup with manual transmission and 4×2 drive system. It will cost 30,000 AUD. The most expensive one will carry the Z71 badge and automatic gearbox. Without extras, this unit will cost around $60,000.